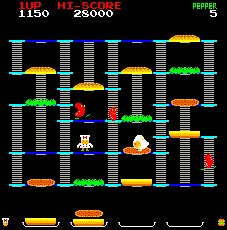 Burger Time was released in 1983 to mostly positive reviews. It's one of my personal favourite arcade games. If you've never been chased by an angry sausage, you've never lived!